Welcome to Phil Rulloda's School of Floral Design and the professional, artistic world of flowers. 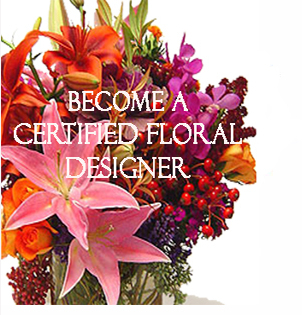 Our web site features information about our professional floral design classes, world-class seminars and special-interest classes. You'll find an online catalog featuring our contemporary and tropical floral design books and videos with 'how-to' tips and techniques. If you're ready for a career in floral design or want to advance to the next level of floral arrangement skills, our classes have a proven track record of training the finest floral designers in America. As a student at our floral design school, you'll receive hands-on instruction from North America's most award-winning team of teachers. Their record of design championships and successful flower shop operations teach real-world skills about the art of floral design and the operation of a retail flower business. With our small class sizes, you'll receive individualized attention so you can hone the skills necessary to succeed as a career floral designer. Find out why industry professionals rate Phil Rulloda's School of Floral Design as the top floral design school in the U.S. Our graduates have won more state, national and international floral design awards than any school in the Western Hemisphere. Based in Orange County, California, our floral design classes serve commuter students from Los Angeles, San Diego and Southern California as well as attracting national and international attendees from across the globe.